My kids are always complaining of being “bored”. With so much to do, I can’t imagine how they could possibly be bored. I try to make school fun and interesting, but still get, “I’m bored!” How do I teach them that not all life is fun and games, and that sometimes you just need to overcome boredom? “I’m bored!” is a common cry among young and old alike. In fact, surveys indicate that up to half of Americans are temporarily or permanently bored. What is boredom, and how do we overcome it? Boredom can be described as a lack of interest or an absence of feeling. It is a kind of emotional flatness. Having “nothing to do” is often blamed for boredom, but boredom is more associated with work being routine, meaningless, repetitious, and mindless than there being a lack of things to do. Boredom will not be overcome with a heavier workload. Children, and unfortunately some adults, will say they are ”bored” because they lack the vocabulary to properly identify what is really going on in their minds and hearts. Expanding your child’s vocabulary and communication skills will help to overcome the feelings of boredom. Closely related to the above, your child may feel directionless or like what he is doing is meaningless. What he wants is purpose. Help him to prayerfully see the purpose of his actions, or redirect him to do things more purposefully, seeking out the purpose and call of God. Your child may feel uninspired or emotionally and/or spiritually flat. He may lack joy. Lack of joy is a heart condition that can only be cured by the Holy Spirit. Is there something bothering your child, maybe an unrepented sin, keeping him from experiencing fullness of joy? I can’t stress the correlation between boredom and brokenness enough, and the importance of making any necessary repairs to his relationship with God immediately. Your child may feel discontent, like the things he is doing or has are insufficient. He may be “bored” with his toys or electronic gadgets because he does not think they are enough. He needs to learn, like Paul did, to be content where he is at. This contentment can be learned through constant thanksgiving. Encourage your child to count his blessings, naming them one by one, and to thank the Lord for each. Don’t allow his heart to be darkened with discontent due to a lack of gratitude. Your child may be restless or impatient. He finds waiting to be “boring” and lacks patience. While it is tempting to give children busy work to fill in those gaps of time, what children really need to learn is to keep sabbath. I’m not talking about the seventh day Sabbath, but rather the contemplative and prayerful resting periods that should be interspersed in between our times of work and leisure. Keeping sabbath will help to gain eternal perspective and insight, transforming times of restlessness into meaningful and active periods of waiting on and for God. Whatever your child is doing, be it work, leisure or sabbath, do it all to the glory of God. Without this, all things will lead to vanity and vexation of spirit (life). Graciously fearing God and keeping His commandments is the whole duty of man, and attending to this needful thing is the one and only way to truly conquer “boredom”. 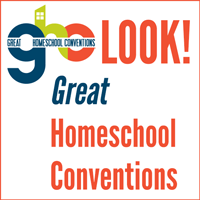 ← HUGE Homeschool Sale Coming Soon and $150 Giveaway Now! Q&A – What About Socialization?